The diseases of aging include cancer, heart disease, dementia, arthritis, cataracts, osteoporosis, and stroke. Oh, and type 2 diabetes. It is likely that all of us have relatives or friends with these afflictions. Possibly even ourselves! As a physician and engineer, I’ve been looking for answers: what causes these disorders? And what we can do to prevent or treat them? Recently, finding some answers has become urgent. My dear wife Helen was operated on for colon cancer in March, and we want desperately to prevent it from coming back. Now, I like to talk. When I get into too much detail, my daughter is, like, “Daddy! Oversharing! !” and rolls her eyes. So I’ve had to really pare this presentation down to the essentials. Here’s my story. Since grade school, I’ve been overweight. It affected my sports participation, hurt my self-esteem, and impaired my relationships. After my first child was born in 1970, I quit smoking, and I added ten pounds. I suspect some of you can relate. Then, in 1972, I read this book by a New York city cardiologist, Dr. Robert Atkins. At the time, there was a great deal of controversy about this diet. It was condemned by pretty well the entire medical establishment. But that just stimulated my contrarian nature! I looked up the references in his book. Journal articles reporting solid research. No “alternative facts”! I started on his diet, and guess what! It worked! Not only did I rapidly lose 20 pounds, I was able to keep them off, but only as long as I stayed on the diet. Why did this diet work? As the book subtitle suggests, Dr. Atkins believed you could be thin even when eating lots of calories. But what you ate was critical. As Dr. Atkins explained, eating carbohydrates, carbs for short, stimulates our bodies to make insulin. Insulin is a hormone which tells our cells to absorb sugar from our blood and store that sugar as energy. In the case of muscle cells, the sugar is stored as glycogen, but fat cells turn the sugar into fat. 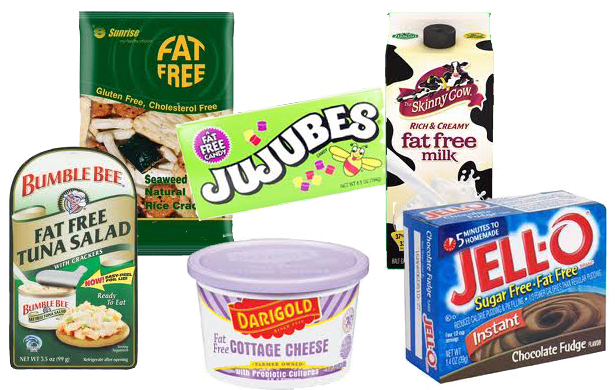 If you eat very little carbohydrate, you produce very little insulin, and as a consequence cannot put on weight. What’s more, your body fat will be used as fuel by the body. 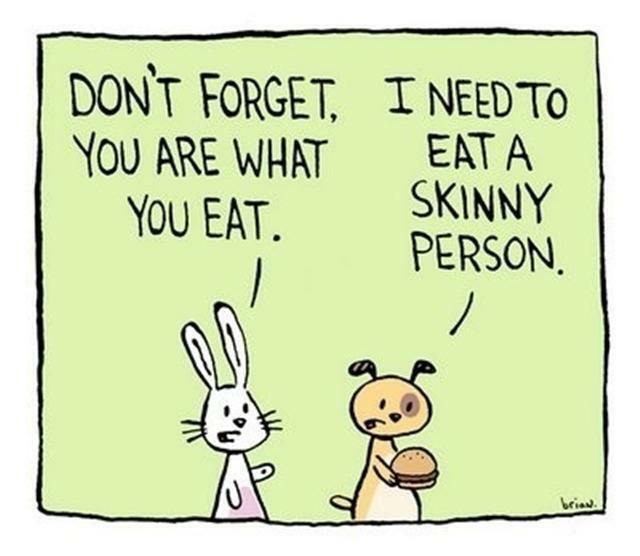 That’s how I lost those 20 pounds! 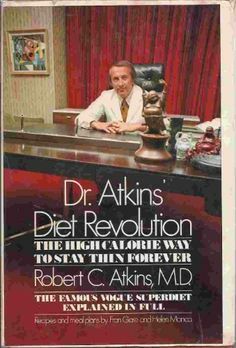 But, the Dr. Atkins diet was not a revolution, as he claimed in his book title. In fact, low-carb dieting for weight loss had already been written about as far back as the 1800’s. But back then, they hadn’t yet discovered insulin. Insulin was successfully isolated only in 1922. A Canadian discovery, no less! Charles Banting and Frederick Best managed to extract insulin from a dog pancreas and used it to treat a young boy with diabetes. They saved his life! This was huge! Nobel prize huge! Prior to this game-changing discovery, children with what we now call Type 1 Diabetes would invariably die at a young age from their disease, also called Juvenile Onset Diabetes, or sometimes insulin-dependent diabetes. (I gotta say, wouldn’t it be nice if the doctors could at least agree on terminology?) No matter how much they ate, even 10,000 calories a day, these kids would lose weight, waste away, and literally starve to death. All because they were unable to make their own insulin. After 1922, insulin injections literally saved lives! The take-away message? For weight gain or loss, it’s not how much you eat, it’s what you eat that counts. Because what you eat controls how much insulin your body produces. I couldn’t resist this cartoon! Sorry! OK, what do we eat? Here’s the nitty-gritty. Our diets are made up of just three macronutrients: protein, fat, and carbohydrate. Eating carbs stimulates insulin secretion. Protein does too, but less. Fat by itself does not stimulate insulin secretion. So if you eat a lot of carbs, you will produce a lot of insulin, which will stimulate a lot of fat storage and lead to overweight and obesity. But not in everybody! Genes are important, too. So, what are carbs? Sugars…, starches, and… No, that’s it. Just sugars and starches! and then there’s starches found in foods like breads, pastas, grains, beans, and root vegetables. OK, I lied. Sorry! 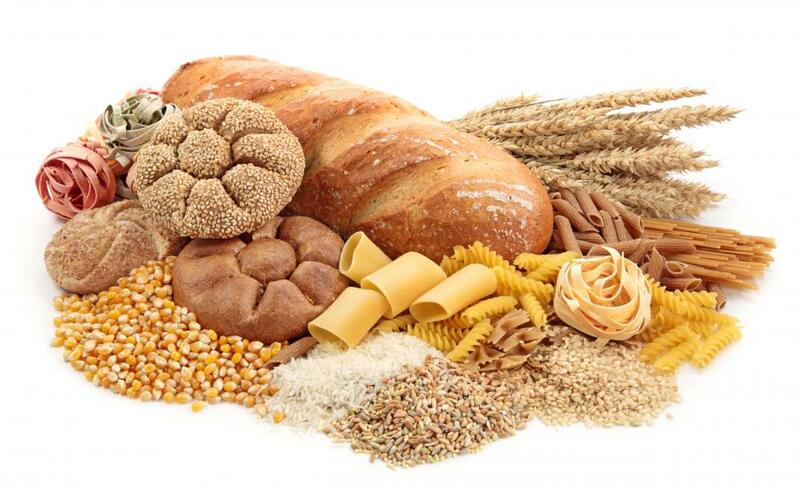 Besides sugars and starches, there’s also a kind of carbohydrate called fibre. 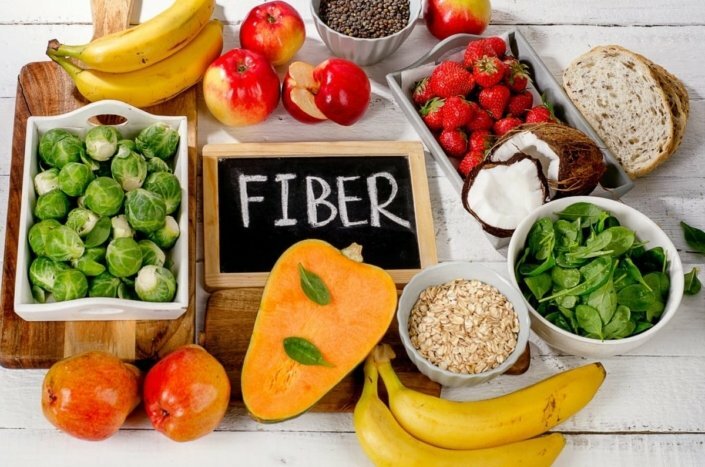 But because fibre is not absorbed in our gut, it’s not considered a nutrient. It’s important to note that Dr. Atkins said to replace carbs with fibre from fruits and vegetables, with dietary fats and oils, and with some protein. But starting about 1985, doctors began saying that fats in our food were bad and contributed to cancer and heart disease. This message caused the American people to have a terrible fear of dietary fat. Fat phobia was king for at least 20 years! So people trying the Atkins diet felt that they couldn’t replace carbs with the dreaded fats and oils. But the alternative, replacing carbs with protein, was not effective for losing weight. So the Atkins diet fell out of favour. But well before fat phobia took hold, I’d graduated in 1981 from McGill medical school, where I had learned more about insulin and diabetes. First, those children who cannot make insulin, the so-called type 1 diabetics, only make up less than 10% of people with diabetes. The vast majority, more than 90% and still increasing, have what was then called adult onset diabetes, and now is known as type 2 diabetes. Most type 2 diabetics are obese when they first become diabetic. How did they become obese? Eating too much sugar and starch! This stimulated excessive insulin which then caused sugar in the blood to be stored as fat. Excessive fat. Often fat around the waist, commonly called “central obesity”. But many obese people never develop diabetes! Why is that? The short answer is: genes. But for those who do become diabetic, our medical school teachers in the late 1970’s told us that too high insulin levels caused insulin resistance. The result: high blood sugar levels, excess sugar being dumped into your urine, causing excessive urination and thirst. Symptoms of diabetes. To me, the idea that high levels of insulin would cause fat and muscle cells to become less responsive to insulin made a lot of sense. It’s the same kind of mechanism that causes tolerance to and dependence on opiates such as morphine or oxycodone, or to benzodiazepines like valium or ativan. But during the 1980s, this explanation gradually morphed. In retrospect, this change was brought about largely by the efforts of one very persuasive researcher, Dr. Gerald Reaven. Dr. Reaven said that insulin resistance was the cause of high insulin levels. He called this “compensatory hyperinsulinemia”. This turned the idea that high insulin levels cause insulin resistance, completely upside down! I was, and remain, flabbergasted by this new explanation, and in rereading some of his articles, I believe Dr. Reaven was truly misguided. Once you have insulin resistance, it is true that higher levels of insulin are needed to overcome it. But this does not explain what caused the insulin resistance in the first place! And the consequences of this new, upside down theory are very negative. It offers little for type 2 diabetics except control of blood sugar levels. In contrast, the old theory means that many cases of diabetes can be cured with a low carb diet! When I ask experts in the field about how the new theory works, they mumble about inflammation, obesity, insufficient exercise, high fat diets and other things as causing insulin resistance. When I ask, show me the research, I get the brush off: it’s too complicated for a psychiatrist to understand, they say. And why would I, a geriatric psychiatrist, even care? It turns out that there is a convergence between my personal interest in dealing with overweight, and my professional interest in dealing with a condition I see very commonly in my line of work. What condition is that? Dementia. I see it a lot for two reasons: one, dementia frequently causes behaviour or emotional disturbances; and two, dementia is extremely common in old age. How common? Have a look at this graph, from the British Medical Journal. It shows the percentage of people at any given age who have dementia. You can see that as people get older, the percentage increases very steeply. 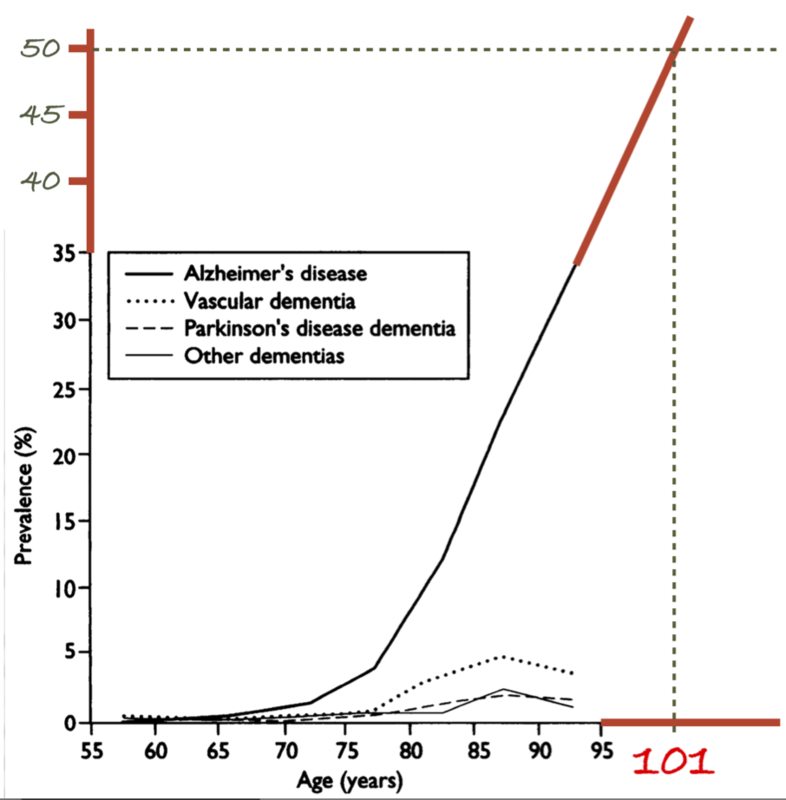 We can extrapolate to see at what age the prevalence of Alzheimer’s dementia would be 50%. Turns out that at age 101, 50%, that is, half of the people who are aged 101, would have Alzheimer’s! For people over 100 years of age, dementia is not abnormal. You cannot call something abnormal if more than half of the people have it! In fact, NOT having dementia is the abnormal condition for centenarians! In medical school we were also taught that if a deleterious condition remains common in the population, that is, evolution has not selected against it, it is probably because having that deleterious condition confers some sort of advantage. The example used was sickle cell anemia, a genetic condition common in Africa. On the left is a normal red blood cell; the other one is a sickle cell. Sickle cell anemia is believed to remain common because it helps protect against malaria. This malaria parasite is attacking a red blood cell. Ooooh, creepy! Reminds me of the movie “Alien”! So if dementia is so common, even a normal condition if you’re old enough, what possible advantage could having dementia confer? Well, very little to the individual with dementia! But consider for a moment what would happen to an animal in the wild if it developed dementia. It would get picked off pretty quickly by a predator and become a “Happy Meal” for that predator! When you think about it, the same is true for all the conditions of aging. Cataracts, hearing loss, arthritis, heart disease, stroke, you name it…they would all quickly cause death in the wild. Could evolution have built in these conditions of aging with the goal of knocking off individual animals? My God, how evil would that be! And what for? Here’s how I look at it. I believe that by knocking off the eldest members of a species, evolution improves the chances for the youngest generation to survive and have offspring. In an environment which is constantly changing, the youngest generation is the one most evolved to thrive in its environment. So the diseases of aging benefit the species, not the individual. 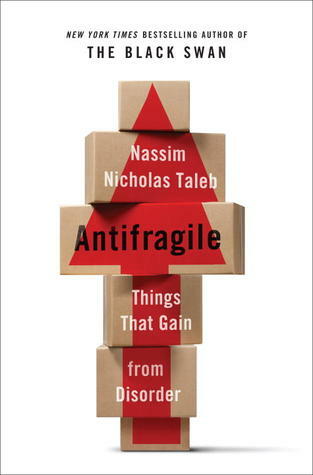 economist and philosopher Nassim Taleb spelled out how general this idea is. For example: the Montreal restaurant scene is very healthy; there are lots of great places to eat, in every price range. What makes it great? Competition. And competition works because less successful restaurants go out of business. They have to die in order for the whole restaurant scene to be robust and healthy. Sounds like elderly individuals dying for the good of the species, doesn’t it? OK, so if we agree on the conditions of aging being under evolutionary control, you still should be asking, what does dementia have to do with insulin or diabetes? It turns out, quite a lot! Having diabetes doubles your risk of dementia! And there is research suggesting that insulin resistance in the brain is a cause of one form of dementia, which some people are now calling, type 3 diabetes. Could it be that high insulin levels are causing both type 2 diabetes and dementia due to insulin resistance? If this is a possibility, what other things might insulin be doing? Because it does far more than its role in weight gain or loss, or the development of diabetes or dementia. The insulin molecule has been found even in single-celled organisms which have been around for over a billion years! By the way, that’s another Canadian discovery, Eh? Turns out that insulin promotes cancer and inflammation. Even worse, at the level of individual cells, insulin suppresses the good functioning of a cell’s repair and replacement mechanisms. When cell damage doesn’t get fixed, the organism ages. So, when we’re young, insulin is necessary for growth, as we saw for the kids with juvenile onset diabetes. And later on in life, the exact same hormone, insulin, promotes aging as well as the conditions of aging! Who knew? Insulin kills! That’s the bad news! The good news is, we can control our insulin levels by being careful about what we eat, and how much we eat! And here is another insight. In the same way that insulin is good when we’re young, but bad when we’re old: the foods that stimulate insulin are also good for us when we’re young, but bad later on. And vice versa! Foods and drinks that are bad when we’re young, become good for us as individuals when we’re older. But, here’s a very important caveat: no matter your age, too much insulin is bad for you! So a diet high in starches and added sugars is a no-no! This business about different effects for young vs older individuals may help explain why scientists tell you something is good one day, and then bad the next. Take coffee. It turns out that coffee actually does stunt your growth when you’re young. What your mother told you was on the money! But when you’re older, coffee helps protect you against cancer, dementia, cardiovascular disease, and diabetes. And, yes, it appears to exert these effects through insulin. Now, if you’re NOT sceptical about this idea, there’s probably something wrong with you! After all, why should insulin be so implicated in growth and then later on, in aging and in promoting death? It all comes down to having offspring. Just consider, reproduction is what drives evolution. Starting in the 1930s, many studies in a variety of animal species, showed that not getting enough to eat stops reproduction, while at the same time extending lifespan, by as much as 50% or more! And this does not mean living longer with disease or disability. We’re talking healthy longevity! The best explanation I’ve found is this: if a female animal tries to have offspring when there is not enough food, the offspring will not survive. And, that mother will probably die in the attempt to have children. So the best strategy would be: when food is scarce, stay healthy, live longer, and wait until the good times return. When there is enough food again, go back to having babies. And how does an organism know when there’s enough food? Insulin is the signal. Insulin levels are controlled by what we eat and how much we eat. And insulin in turn controls growth and development, but also aging. I start by looking up in the research literature, those interventions which have been found to increase healthy lifespan. Then, look up interventions which suppress cancer, diabetes, heart disease, or inflammation. Add these two lists together, and filter by whether they reduce insulin. The result is a list of good things to do when you’re older. Next, look for factors which worsen outcomes for cancer, diabetes, heart disease, and so on. Now, filter by whether these factors increase insulin. The result is a list of things to avoid when you’re older. I’ve put both these lists in an appendix. It remains a work in progress, however; new research continues to be published, and I am often surprised and delighted when I learn what dietary interventions are common in other cultures and places to promote health and longevity. Following these lists has been very helpful for my health, and I hope and pray that it will also keep my Helen’s colon cancer from coming back. You know, while preparing this talk, I realized something very important. Now that I’m mostly retired, in looking back over my life (so far!) my passion, and my greatest source of satisfaction, whether as parent, teacher, engineer, or doctor, has been to offer tools which give my children, students, clients, or patients more control over their lives and over their wellbeing. My hope is that you will be able to make use of these ideas, that it has been my great pleasure to share with you.